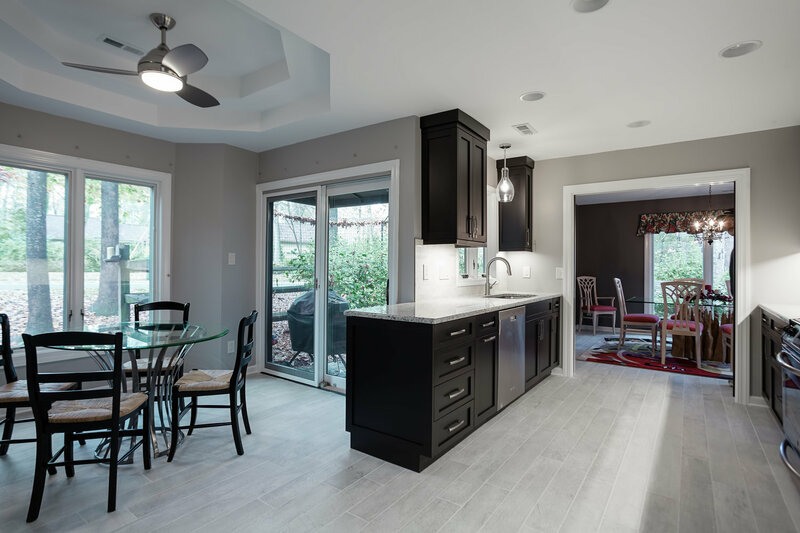 We transformed a plain, yet functional kitchen and laundry area into a showpiece that fits the changing needs of this Charlotte family. 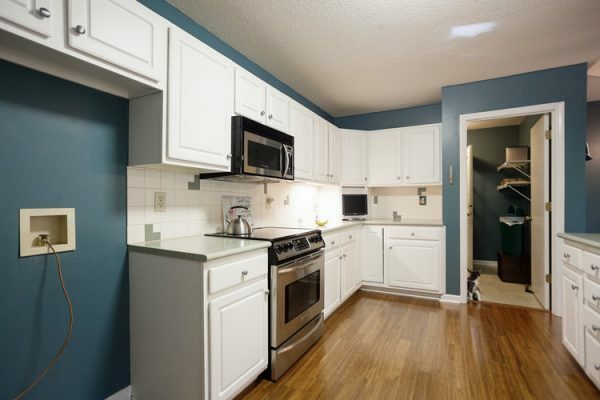 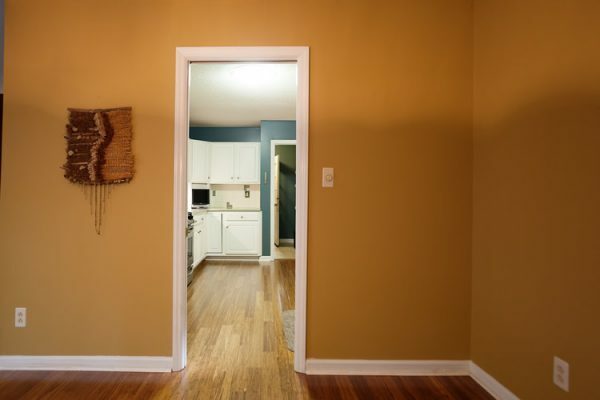 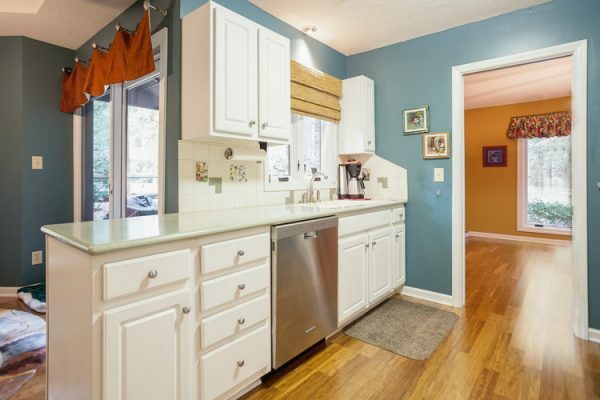 They wanted an updated space that has depth, and didn’t feel like a typical plain white kitchen space. 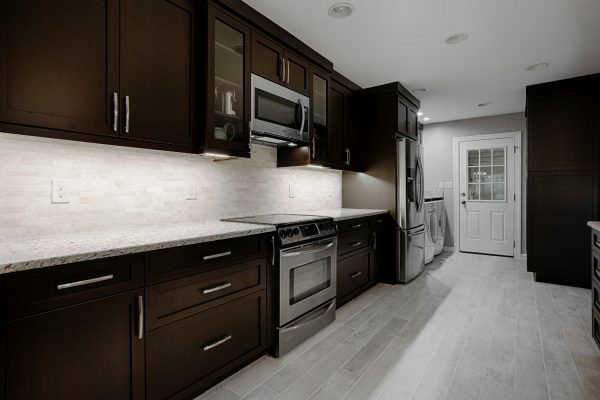 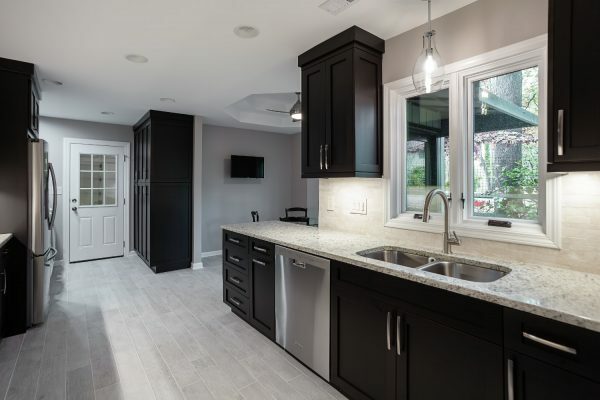 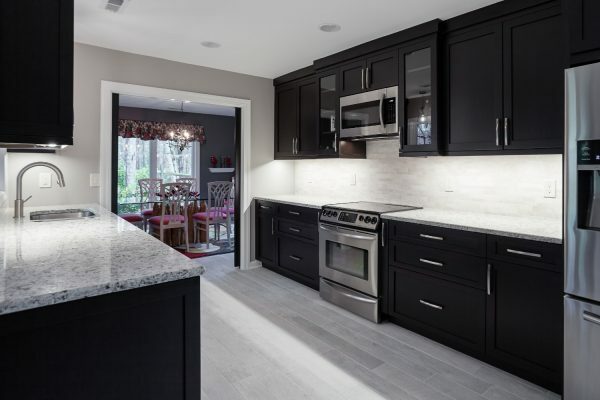 We worked with the homeowner to design a gorgeous new space that is even more functional and uses dark cabinets and contrasting light and color to create a kitchen that is a show-stopper. The remodel involved removing several walls, replacing the floor and adding additional laundry storage that matches the kitchen cabinets. 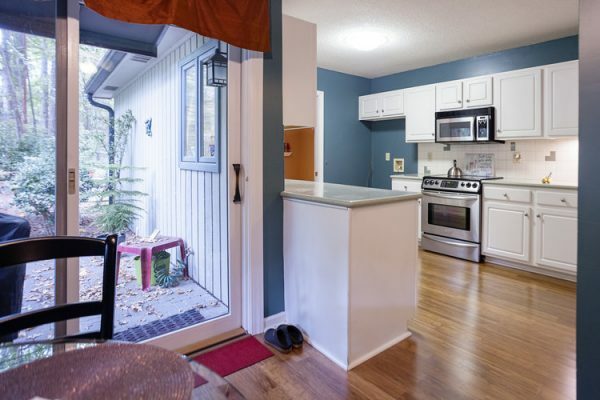 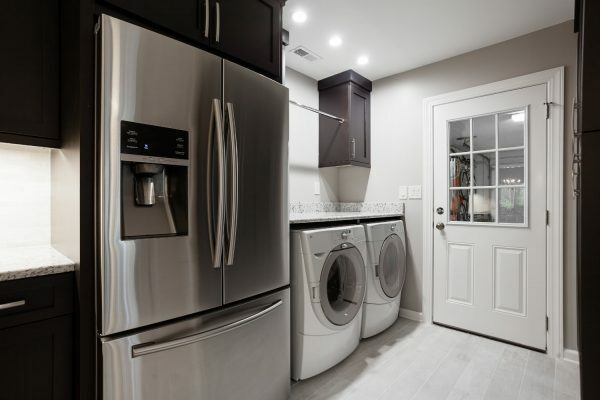 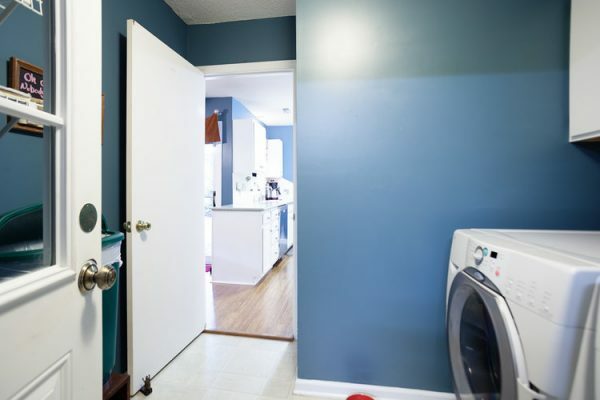 We incorporated the laundry room into the kitchen area to create a larger space. 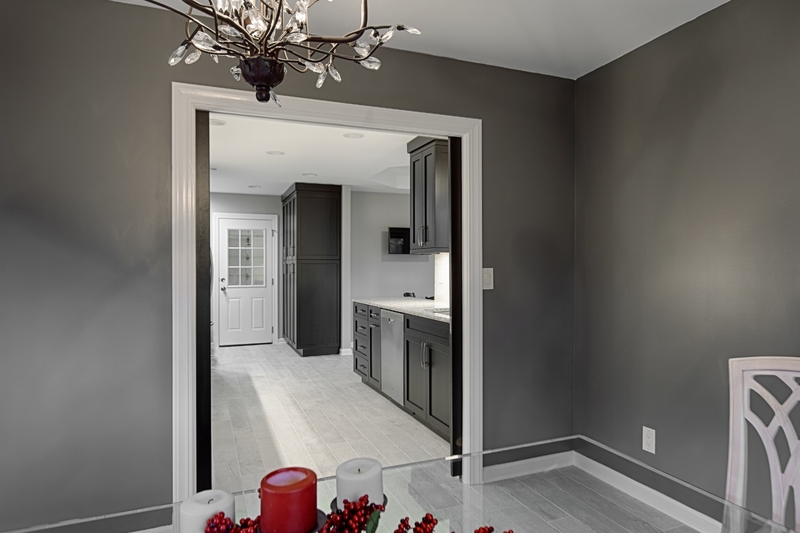 Under cabinet task lighting provides both ambiance and functional light on countertop work area. Stainless hardware balances the dark cabinets and matches the appliance package. A lighter floor helps ensure the dark cabinets don’t overpower the space while adding a nice texture to the overall look. 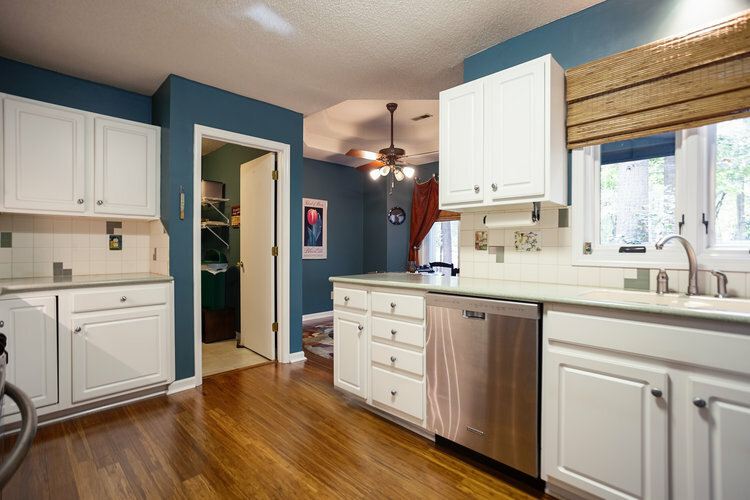 Select glass-front cabinets help showcase favorite items and add depth and visual interest to the wall. 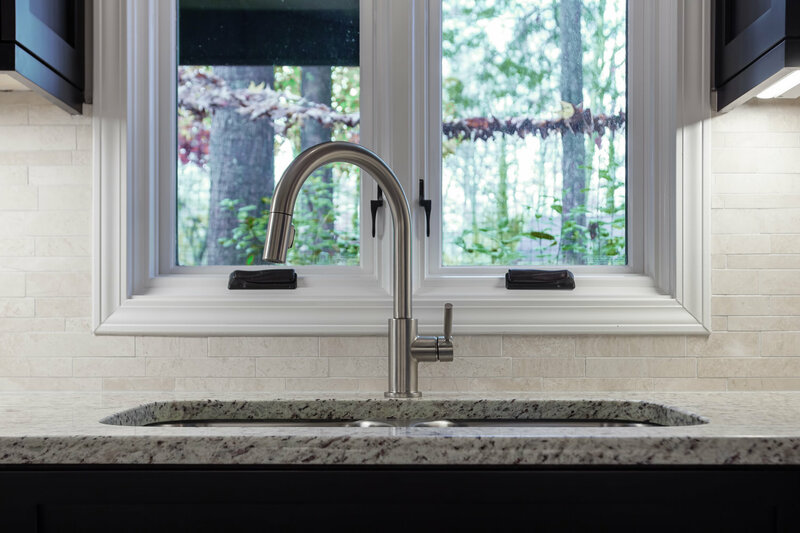 An under-counter sink mount provides a clean and efficient look.